Here at Jerry’s, we love our Artists, and even more, we love to hear back from them when they have something to say. 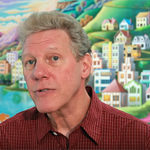 With Jerry’s Artarama’s new “My Story” feature, artists can upload their own art experiences to Jerrysartarama.com. 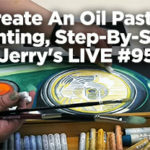 Now, more than ever, artists can feel free to tell others about their experiences with the products they use and love that they discovered from Jerry’s and the art that they create. We want to know why you choose Jerry’s! 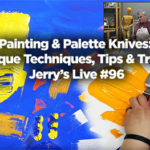 Jerry’s wants to know how having access to a wide variety of the best art supplies at low prices has helped you in your artistic journey. We get so many comments from art teachers, students, professional artists and so many beloved customers who have shared their stories and told us exactly how we have provided for them the art supplies that are making their dreams come true. 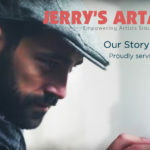 In addition to sharing your Jerry’s shopping experiences, “My Story” also gives each artist who decides to share their story and related picture or artwork a chance to win big! 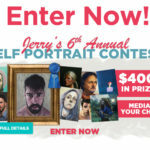 Artists who sign up for “My Story” will be entered in for a chance to win an eGift Card from Jerry’s worth $50 to spend on Jerrysartarama.com. It is simple to sign up. Simply click the “tell my story” button below and let us know why you choose Jerry’s. Sign Up Today and Win!